Trading Emini S&P can be difficult at times because of trend days. Trend days are those trading days that move in one direction with little or no pullbacks. Traders whose strategies mainly focused on scalping or intraday counter-trend methods are often punished in trend days. 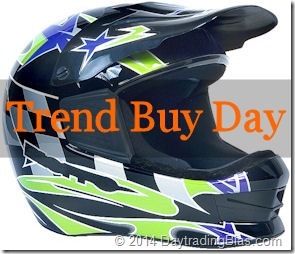 Trend buy days are the trend days that keep going higher. There are simple ways to identify a potential trend buy day. There are also techniques to figure out if the trend is invalidated. It is possible to take advantage of the trend buy day setup mechanically. Once you know the tricks I am going to show you here, you will be able to handle these trend buy days with ease. Why Do We Get Trend Buy Days? 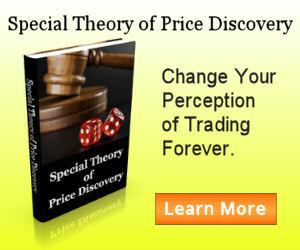 Beginners and newcomers often mistaken that trend buy days are result of serious buying by the bulls. That’s an incorrect assumption. Majority of the trend buy days are not inventory building by people who are bullish. Real long term bulls buy stuff at bargain price, not chasing the market to the moon. So who are buying all day long on trend buy days? Shorts being forced to cover. When many traders with short positions opened, for various reasons somehow these positions lined up together in a cluster, or better yet, evenly distributed over a wide range, a sudden push against the weakest short sellers will induce a chain reaction of short covering. Those casual traders who are not aware of the forced short covering in progress, would jump in front of the train going short and trapped right the way. They add fuel to the rally until most of the short positions established within the range are cleaned out. There are many situations that can lead to this condition where the short sellers are cornered. It is important to think not in terms of specifics but overall context of the trading day. By awareness of what the other traders did based on the chart, you will be able to deduce what the possible scenarios are for which the short sellers are trapped. Paying attention to these scenarios will allow you to position yourself correctly during trend buy days. I have written a tutorial on recognizing such scenarios through the use of chart patterns. It does not cover all the possibilities but it illustrates the thought process behind. 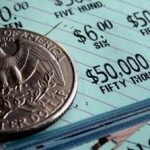 There are many ways to analyze historical data besides chart patterns. It is possible to figure out something similar through other means hence it is not necessary to analyze the charts my way. It is that simple. It opens the door to more buying in the afternoon. To refine the pattern, many people have tried by adding extra rules like higher low every hour and higher high every 30 minutes. All these extra rules have their benefits (and shortcomings) in filtering out days that are not really trend buy days. It is something up to the trader to decide if certain filter is better than the others. Note: Those who have my ebook S&P 500 Daytrading Time Map Volume 1 should recognize the pattern as it is derived from one of the time driven bias. Think of this article as the implementation of the concept from the book. Really excellent article Lawrence. Many many thanks. Great addition to the collection – thanks!